Au revoir to dry, brittle nails. This oil works hard to protect and soften your nails and cuticles, keeping hem in top condition! Massage into nails on hands and feet as often as needed. Apply the oil with a brush on nails and cuticles and massage for some time. Use as often as required and is good for both hands and feet. 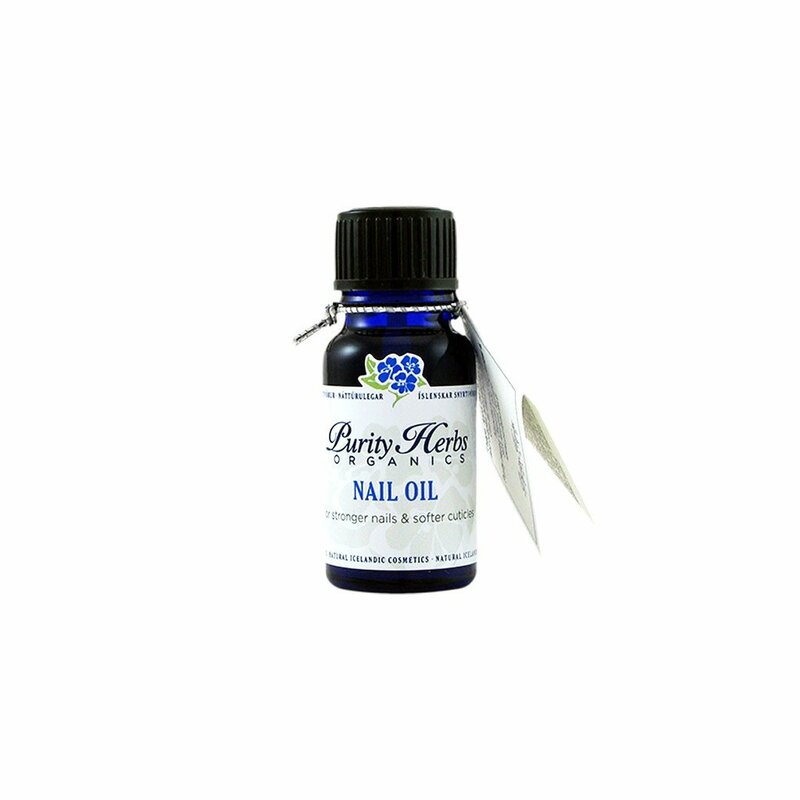 Using this nail oil a few times a week keep the nails and the cuticles in optimal condition. Nail oil hydrates your nails and helps to prevent cracking and peeling. This easily absorbed oil will also help to smooth your cuticles. It contains many Icelandic moss, Yarrow, and tea tree essential oils.